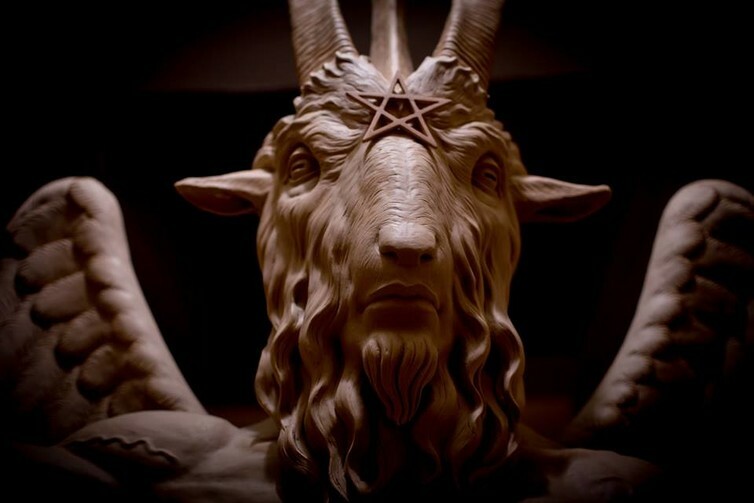 Can a burgeoning Satanic movement actually effect political change? Robert Eggers' period horror film “The Witch” has been one of the surprise hits of 2016. It’s even gained a second wind since its February 23 release: the first weekend of April it played on 666 screens around the country, raking in an additional $465,000 USD. 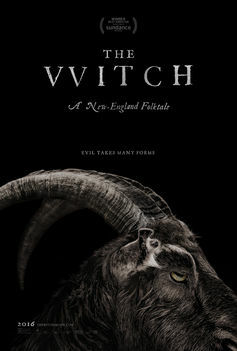 The tale of a Puritan family turning on each other as they attempt to root out the supernatural evil plaguing their farm, the film won Eggers the award for best director at Sundance – and even frightened horror master Stephen King. But neither of these accolades has generated as much buzz as an endorsement from The Satanic Temple (TST), a satanic political movement that first appeared in 2013. TST believes that the separation of church and state is currently under attack by radical religious conservatives. They also believe there is a silent majority that opposes this agenda, but remains too apathetic to do anything about it. The Sabbat Cycle was an attempt to raise political awareness by piggybacking on “The Witch”’s appeal. This is part of larger PR model the group has used since its inception, in which the shocking and the frightening are used to lure media attention to their cause. To learn more, I attended the Sabbat Cycle at its Austin stop, and spoke with attendees about their religious and political views. Political movement, religion or both? Since its founding, TST has waged a highly active campaign to demand greater separation between church and state, and to challenge the privileged relationship Christianity has with government. A cornerstone of their campaign has been tongue-in-cheek “stunts” intended to show how government institutions favor Christianity in ways that would never be tolerated for other religions. TST first made headlines in 2013, when it held a rally in Florida, ostensibly to congratulate Governor Rick Scott for passing a bill that would allow students to read “inspirational messages of their choosing” at assemblies and sporting events. Whether or not TST is a “real” religion has been a subject of debate. But some members insist that while the movement is atheistic, the group, like other religions, has a shared set of values, concerns and symbols (like Satan as a symbol of rebellion). Religion or not, no one can question TST’s appeal or its sincerity about its political goals. Today TST has 17 chapters in the United States and Europe and claims an estimated 100,000 members – a figure based on the purchase of membership cards and various forms of online support. TST chapters across the country have launched campaigns demanding the same religious rights and privileges afforded to Christianity. These have included the creation of satanic coloring books for distribution in schools in Florida and Colorado; bids to erect satanic “nativity scenes” on government property in Florida, Michigan and Indiana; offering prayers to Satan at a high school football game in Seattle; and demanding that a monument to the Ten Commandments at the Oklahoma State Capitol be accompanied by a monument to Baphomet (a goat-headed idol associated with witches' sabbaths). The 1993 Religious Freedom Restoration Act (RFRA) reinforced the religious freedoms outlined in the First Amendment. When the Supreme Court ruled that RFRA applied only to the federal government and could not be applied to the states, many states passed their own versions of RFRA. Several of TST’s campaigns involve using RFRA laws to claim religious accommodations for satanists. For example, since 2014 TST has invoked state RFRA laws in Michigan and Missouri to demand a religious exemption from laws dictating that those who seek an abortion need to review literature or endure a waiting period. Harvard Law Professor Noah Feldman has argued that James Madison would have supported the Tucson satanists. Madison was concerned that individual rights could be threatened by a “tyranny of the majority,” and saw laws guaranteeing individual rights as “paper barriers” that offered no real protection. Only a diverse coalition of minorities could effectively check a majority and protect individual freedom. It was exactly this sort of coalition that TST spokeswoman Jex Blackmore hoped to forge through events like the Sabbat Cycle. In Austin, Texas, Blackmore took the stage before a screening of “The Witch” at the Alamo Drafthouse and explained that the film was a “microcosm of a patriarchal theocratic society that results in satanic revolution.” In Blackmore’s reading of the film, the titular witch was driven to witchcraft by Puritan oppression. Afterward I got to chat with Drafthouse employee and film buff Laird Jimenez about this assessment. He noted that “escaping patriarchy” is currently part of a cultural zeitgeist that includes films like Oscar-winner “Mad Max: Fury Road,” which depicts women escaping – and then overthrowing – a patriarchal warlord. Following the screening, everyone migrated to a bar and music venue called The Sidewinder, where TST held their ritual. 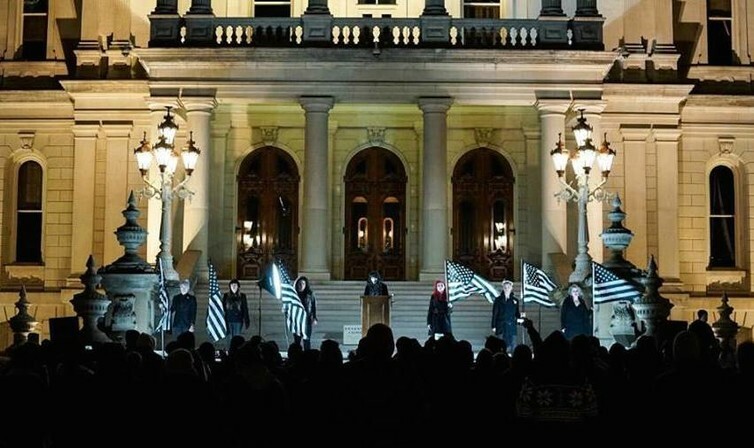 Members from the Detroit and San Antonio chapters began setting up and handing out satanic American flags painted in only black and white. I mingled with a small crowd of Satanic sympathizers and the curious. Leather jackets, tattoos and pentagrams were in abundance. During the ritual, a speaker played an excerpt from a speech by Baptist pastor Dr. Jeff Owens, in which Owens warned his congregation, “Satan does not want you to do what he wants you to do. Satan wants you to do what you want to do.” (Other eyewitness accounts of the ritual can be found here and here.) Owens had been warning that Satan uses people’s pride and selfish desires against them, but the ritual imposed its own interpretation onto his message: To TST, Satan represents moral autonomy and personal responsibility. Afterward I spoke with some young people from the crowd. One explained that he was attracted to Satanism because “It’s about knowledge,” not dogma. Another, Jonathan – who identified as a witch – seemed the most likely to be sympathetic to TST’s politics. He said that when he attended high school in Virginia Beach, his classmates targeted him for openly identifying as a Pagan. Someone even pretended to be him and called in bomb threats to his school. The events attracted the attention of Detective Don Rimer, a notorious “occult crime expert,” who confiscated all of Jonathan’s books on witchcraft as evidence. There was an attempt to forcibly commit Jonathan to a mental institution. I asked Jonathan if he thought TST was really a religion. As the event wound down, I was able to interview Blackmore. Like Marx, Blackmore saw her revolution as inevitable: the Christian Right would naturally drive people to rebel against it. Many TST members and allies I spoke to described strict Christian upbringings. In Blackmore’s assessment, progressive cities like Austin are paradoxically the most apathetic about resisting the Christian Right because people in progressive cities feel they are unaffected by religion-influenced laws. Blackmore saw “The Witch” as an opportunity to get more people involved and hasten their political revolution. But Jonathan pointed out that this dialectic can swing both ways: revolution begets counterrevolution. For example, in the 1970s, the New Christian Right formed, in part, as a response to the perceived excesses of the 1960s. Likewise, there is a risk that an openly satanic presence in American politics will energize the very forces TST opposes. Right wing news sites such as Breitbart.com and LifeSiteNews have given TST heavy coverage precisely because their rhetoric can be used as fodder for antiabortion activists. Conservative voices have claimed TST “proves” what they have said all along – that God is with them and their political opponents are literally demonic. In many ways, TST is the heir to the “New Left” of the 1960s and such figures as Abbie Hoffman and Allen Ginsberg. Events like the “exorcism” of the Pentagon in 1967 demonstrated an understanding of ritual and semiotics: the strategic use of religious symbols could change what the Pentagon represented to the public. But the New Left also intentionally straddled the line between prank and sincerity in order to draw media attention to their cause. It is contested today what effect the New Left actually had toward the goal of ending the Vietnam War and it is similarly unclear what effect TST might have on America’s political center of gravity. Nonetheless, millennials now outnumber baby boomers. They’re a more diverse generation than their predecessors, and major changes to the political landscape seem inevitable. Still, supporters like Jonathan remain skeptical of TST’s true viability.